First Exhibition in the New IN_OUT Gallery in PRSC’s New Building 17-25 Jamaica Street. Opening night this Saturday of the New Gallery space at PRSC. 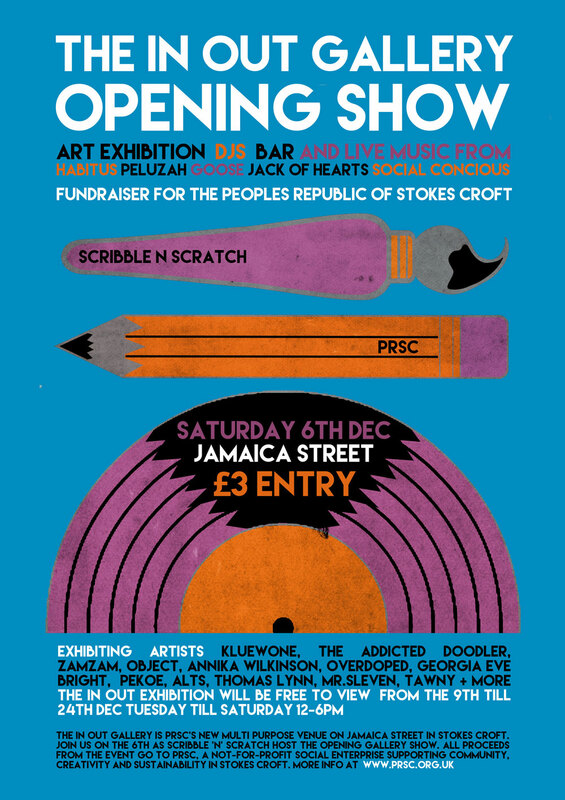 In conjunction with Scribble and Scratch, The show will run til Xmas.